You can edit a card by clicking the card you wish to edit on your board. This opens the back of the card. To edit a card title, click the title on the back of the card. A card has an optional description field. You can edit the description to add card details. Markdown is used for formatting the text in the description of a card. Open a card to edit its title and description. If someone else is editing the card description while you're in the card, you'll see their avatar with a pencil next to it. Hover your mouse over a card and click the pencil icon that appears. 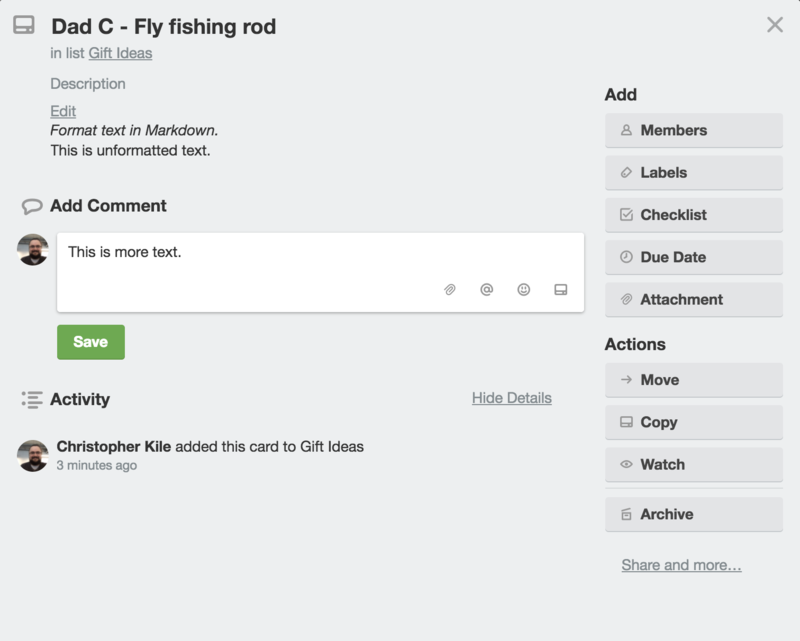 The card menu allows you to perform actions on a card from the board view. A complete list can be seen at https://trello.com/shortcuts.